Measuring the mechanical properties of different materials by analysing their behaviour is a familiar task to many scientists and engineers. Yet for some more unusual materials, large-scale material properties are incredibly difficult to predict using current methods. Professor Thomas Voigtmann at the German Aerospace Centre is now investigating how these ‘soft’ and ‘active’ materials could be better understood. His team uses theoretical physics to predict the behaviour of materials, in order to establish general principles by which mechanical properties can be precisely engineered. In our everyday lives, we interact with a wide array of materials whose properties have been carefully engineered for our convenience. We might expect these materials to behave in ways that directly reflect how we interact with them, but this isn’t always the case. For some materials, including glass, properties are strongly influenced by the production process, causing the material to reflect its own past in its behaviour. These ‘history-dependent’ properties can be a nuisance, but when suitable techniques are used, they can also be exploited to produce materials with desirable mechanical properties. When engineers have control over history-dependent properties, they are able to improve, fine-tune and access new functions of materials. Such a high degree of control requires a detailed understanding of the material, and it requires engineers to influence manufacturing processes on all scales, from the molecular level to the macroscopic. 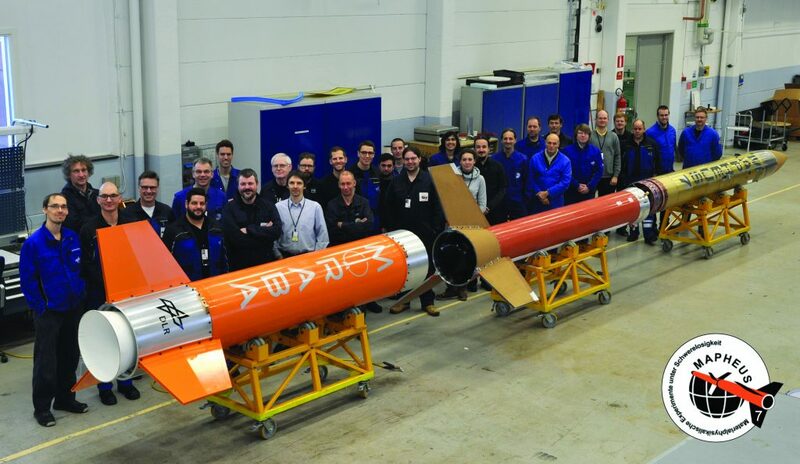 ‘A lot is known purely empirically, which is how these materials are being engineered, and their properties are being fine-tuned and optimised to date,’ explains Professor Thomas Voigtmann of the German Aerospace Centre. Soft materials encompass a wide variety of the substances we interact with, including food, paint and cosmetics. As soft materials flow over time, they often display fascinating properties such as ‘shear thinning’, where the substance appears nearly solid at rest, but flows easily as the forces applied across them increase. Engineers can exploit these so-called ‘non-equilibrium’ properties to design high-performance materials, including paint that spreads easily when applied but doesn’t then drip down the wall. Professor Voigtmann believes the field of theoretical ‘rheology’, which studies how flowing soft materials behave on a molecular level, could improve the degree of control that engineers have over these properties. Rheology aims to predict physical laws on molecular scales, using simulations of particles to predict how materials will behave on macroscopic scales. For centuries, glass makers have known that residual stresses in glass strongly depend on its production process. 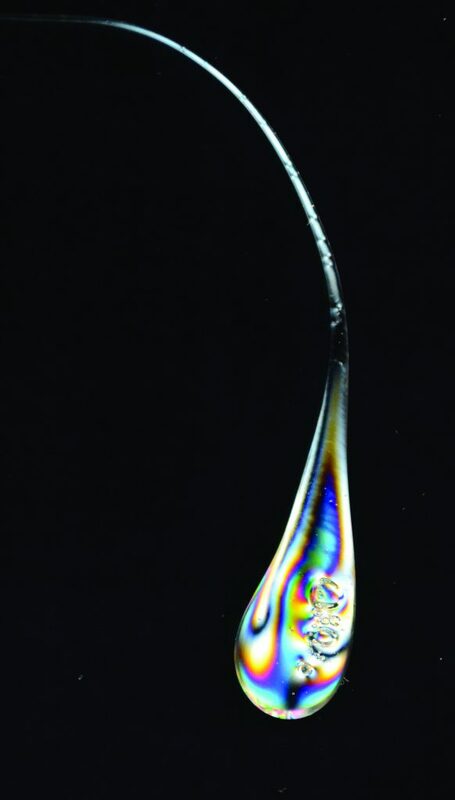 ‘Prince Rupert’s drops’, which are created when molten glass is dropped directly into cold water, are a particularly famous example of how these stresses work. Resembling a tadpole, the head of the solidified drop is remarkably durable, withstanding blows from a hammer. For the tail, however, even the slightest impact will cause the entire drop to shatter. This happens because ‘frozen-in’ stresses, which allow the material to have high stability, are rapidly relaxed when the tail is damaged. Professor Voigtmann and his colleagues analysed the molecular mechanisms involved as stresses freeze in after molten glass begins to stop flowing. As the liquid transforms into a solid, the stresses never quite relax to zero, even after the material has stopped flowing entirely. The amount of residual stress in solidified glass, and its associated mechanical properties, strongly depend on how quickly the liquid was flowing in the past. Using both computer simulations and theoretical calculations, the team demonstrated how glass production is a clear example of a history-dependent process. Flowing materials aren’t the only substances that display non-equilibrium properties. Another area of Professor Voigtmann’s research involves ‘active Brownian particles’ (ABPs), or ‘microswimmers’, which propel themselves forward through their own internal mechanisms. Examples of natural microswimmers include bacteria that propel themselves in random directions in search of food. ABPs are good models for many biological systems and active materials, but their non-equilibrium nature makes them difficult to analyse using statistical physics. Professor Voigtmann and his colleagues aim to understand the mechanics of large systems of ABPs. ‘Having understood the basic framework for many soft materials, we now turn to active materials, both as an interesting class of new materials that can be functionalised to a large degree (or offer new applications such as targeted drug delivery), and as a contribution to understand physical principles at play in biological systems,’ Professor Voigtmann comments. Systems of active particles behave in radically different ways to regular particles in thermal equilibrium. It has been a long-standing challenge for physicists to extend concepts of statistical physics to such non-equilibrium systems. Researchers now have a fairly detailed understanding of how systems of microswimmers behave when they are packed together less tightly. For higher densities, however, ABPs slow down to form ‘glassy’ states, which appear to be fluid in their structure but act like a solid in their dynamics. In one study, Professor Voigtmann and his colleague Dr Alexander Liluashvili investigated how such non-equilibrium, many-body systems could be better understood using approaches rooted in theoretical physics. Professor Voigtmann and Dr Liluashvili used their numerical methods to solve the complex equations of motions of the suspended microswimmers, allowing them to accurately describe their dynamics. They discovered a relationship between ‘caging’ effects, where forces between the particles keep individual microswimmers confined, and swimming forces, which weaken the overall structure to different degrees, depending on their strength. Reference experiments for verifying the microscopic mechanisms behind macroscopic material properties require clean experimental conditions. Since synthetic ABPs are heavier than the medium in which they swim, studies of their large-scale behaviour need to be performed under conditions of weightlessness. Therefore, Professor Voigtmann, together with a team of engineers at the German Aerospace Centre and Professor Bechinger’s group at the University of Konstanz, developed a device to study the random motions of microswimmers in microgravity. In order to simulate weightlessness, the team performed their experiment on a rocket. 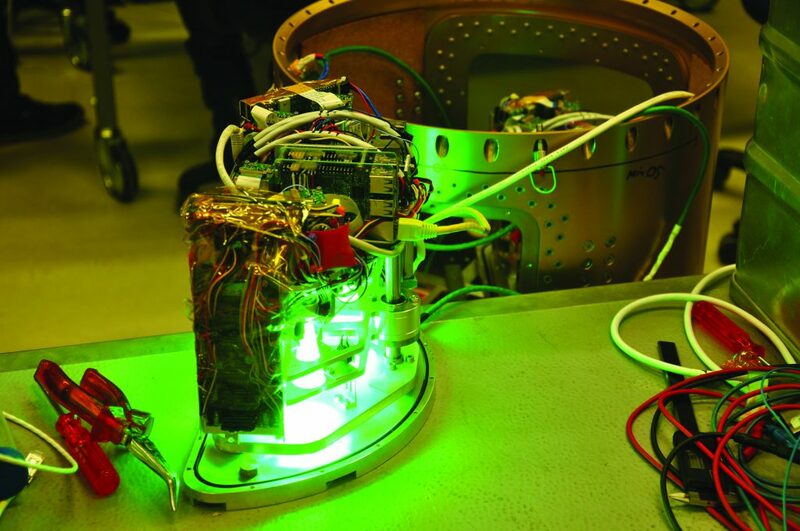 Their first such experiment flew in 2018 on the sounding rocket MAPHEUS-07, which provided several minutes’ worth of measurement time in conditions of weightlessness. Without gravity, the microswimmers tended to aggregate much more rapidly than on the ground, where gravity tends to pull them down and acts as a confounding factor in the study of their dynamics. ‘This research ties into a large programme at the Institute of Materials Physics in Space of the German Aerospace Centre, where we use various microgravity platforms to uncover the physical principles of empirical material laws in various systems like metallic melts or soft materials,’ Professor Voigtmann explains. Some aspects of active particles can be understood already in terms of simple model systems. Together with his collaborator Professor Tanja Schilling, Professor Voigtmann analysed how microswimmers move around inside a porous medium. They used the analogy of the well-known video game character PAC-MAN® to describe how bacteria navigate empty spaces of a porous medium in search of food. Compared to the ‘passive’ motion of regular particles, PAC-MAN in the long run moves through porous structures less effectively as he devours nutrients. This is because he often reaches dead ends, and has difficulties in escaping as he has already consumed the food that first guided him there. Computer simulations allowed Professor Voigtmann and Professor Schilling to calculate how the motion of PAC-MAN follows a power law, with parameters that vary depending on his greediness in seeking out food. Their work could now form a theoretical basis for applications that mimic biological systems of bacteria. These include methods for decontaminating groundwater by guiding bacteria through polluted soil with nutrients and recovering oil from underground reservoirs, using a similar process. The research of Professor Voigtmann and his colleagues has already succeeded in bridging some of the gaps between empirical observations of the properties of soft and active materials, and theoretical predictions of their behaviour. However, the field offers an incredibly wide range of lines for research and is as yet largely unexplored. 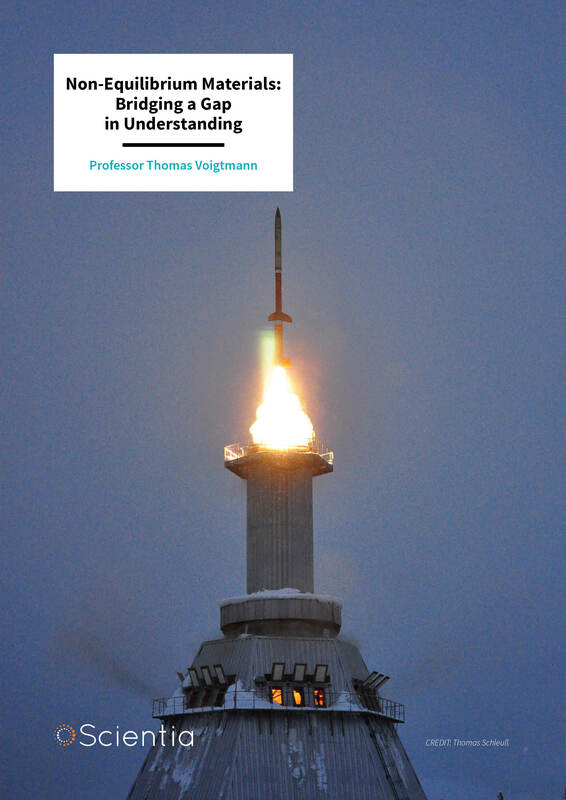 Professor Thomas Voigtmann completed his PhD at the Technical University of Munich in 2003. He then carried out post-doctoral research at the University of Edinburgh and La Sapienza University of Rome, and worked as a fellow of the Zukunftskolleg of the University of Konstanz, before taking a position at the Institute of Materials Physics in Space at the German Aerospace Centre (DLR). 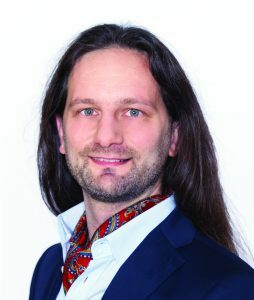 Since 2014, Professor Voigtmann has been a Professor of the Theory of Soft Matter both at the DLR, and the Heinrich Heine University of Dusseldorf. His research interests include non-equilibrium statistical physics, the flow and yielding behaviour of amorphous materials, the dynamics of viscous liquids, metallic alloys and soft-matter systems, and the collective dynamics of active particle systems. T Schilling, T Voigtmann, Clearing out a maze: A model of chemotactic motion in porous media, 2017, The Journal of Chemical Physics, 147, 214905. M Ballauff, JM Brader, SU Egelhaaf, M Fuchs, J Horbach, N Koumakis, M Kruger, M Laurati, KJ Mutch, G Petekidis, M Siebenburger, T Voigtmann, J Zausch, Residual stresses in glass, 2013, Physical Review Letters, 110, 215701.